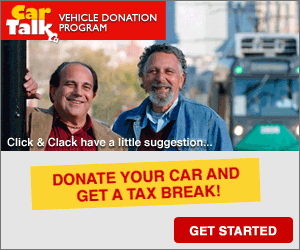 Confused about a fundraising letter from Colorado Public Radio? Western Skies, February 6, 2011: "Arts"
Western Skies, February 6, 2011: "Arts"
We bring back Western Skies with a look at arts in the region. We take the time to look at the Colorado Springs scene, film production as an economic driver, the Broadmoor Art Academy, and more. Craig Richardson sat down with Susan Edmondson, the Executive Director of the Bee Vradenburg Foundation; Tom McElroy, a Colorado Springs based artist; and Jessica Hunter Larson, the Curator of the I.D.E.A. Space at Colorado College. 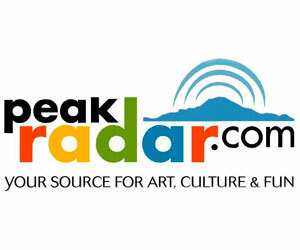 They spoke about the identity of the arts in the region in the past, present and future. Movies like How the West Was Won starring Henry Fonda and Gregory Peck, the original True Grit with John Wayne, and Sleeper with Woody Allen and Diane Keaton have given places like Canon City, Denver, Durango, and Bent’s Old Fort near LaJunta visibility on the silver screen. But as other areas began offering large incentives, Colorado’s desirability seemed to fade into the background. KRCC’s Andrea Chalfin examines the current state of on-location shoots in Colorado, and how one county is looking to the film industry as part of its economic future. Mark Cloer, Director of Economic Development for Crowley County, says, “We offer the natural, the true effect.” Instead of recreating something in a Hollywood set, Cloer says, “We offer reality. We offer a true touchstone opportunity for the filmmaker.” See and decide for yourself, in this slideshow of scenes from Crowley County. Here’s a trailer teaser for a music video from Montauk Media, filmed in its entirety in Crowley County. It includes the abandoned house seen as in the slideshow above. “The Fallout” Music Video Teaser from Montauk Media on Vimeo. We Shot The Moon “Amy” Music Video from Montauk Media on Vimeo. Rainbow Falls lies along Fountain Creek above Manitou Springs, but because of visits by people with spray paint, many have come to know it by a different name: Graffiti Falls. KRCC’s Kate Jonuska set out to explore efforts to clean up the area, and discovered what some see as art, others see as vandalism. When you think of great southwestern arts colonies, you probably think of Taos and Santa Fe, New Mexico. But in the early part of the 20th Century, Colorado Springs was also a renowned summertime arts colony where world-famous artists came to teach at The Broadmoor Art Academy. 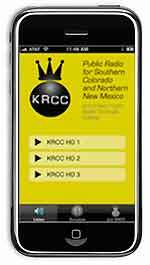 KRCC’s Noel Black spoke with art collector Blake Wilson of The Art Bank and Fine Arts Center Curator Blake Milteer about this largely-forgotten part of our local cultural history. On April 20, 2011, The Fine Arts Center will mark its 75th anniversary. When it opened in 1936, it was considered the finest arts institution west of the Mississippi and had a world-class, week-long gala that featured some of the most avant-garde art known to the world at that time. Craig Richardson and Noel Black of The Big Something bring us this account of the opening, written by art historian Stanley Cuba. 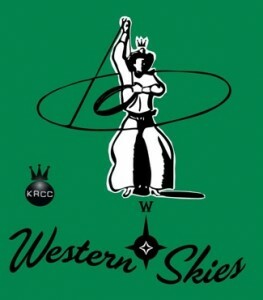 5 Responses to Western Skies, February 6, 2011: "Arts"